See more objects with the color antiquewhite silver darkslategrey or see all the colors for this object. This is a Card. 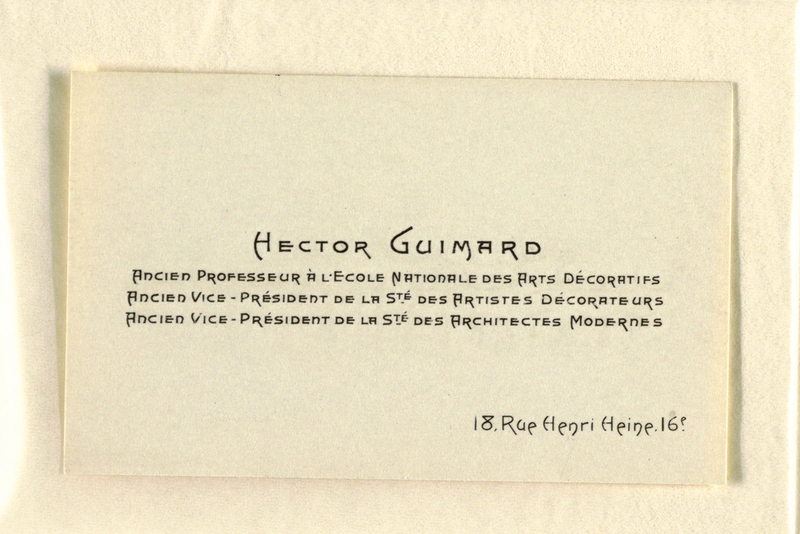 It was designed by Hector Guimard and made for Hector Guimard. It is dated 1937 and we acquired it in 2003. Its medium is copper engraving on cream wove card stock. It is a part of the Drawings, Prints, and Graphic Design department. This object was donated by Unknown donor: found in Collection and catalogued by Carey Gibbons. It is credited Gift of Unknown Donor.